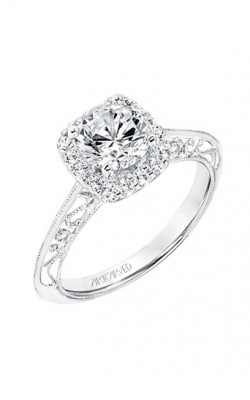 Bewitching brides since 1980, ArtCarved is renowned for timeless designs, intricate details, and their selection of "comfort-fit" diamond engagement rings. Crafting some of today's most sought-after pieces of luxury-quality bridal jewelry, the engagement rings of ArtCarved are made with pristine 14-karat and 18K white gold, rose gold, and yellow gold, as well as platinum and palladium, ensuring that all wedding rings have incredible sparkle and shine. The large assortment of ArtCarved designer engagement rings available today at BARONS Jewelers include exquisite three stone, side stone, solitaire, and halo styles adorned with beautiful diamonds of all shapes, ensuring that every bride-to-be finds her dream wedding ring. The premiere San Francisco Bay Area destination for the best in designer-made bridal jewelry, BARONS Jewelers maintains a wonderful assortment of ArtCarved engagement rings crafted for classic and modern brides alike. Couples who step into our Dublin showroom can shop with ease knowing that our collection of ArtCarved engagement rings are authentic and hand selected for the best in quality and design. Popular today at BARONS Jewelers are the stunning Art Deco-inspired engagement rings that comprise the ArtCarved Classic and Vintage collections. Made with ArtCarved's signature milgrain style engravings, the diamond engagement rings of the Classic and Vintage collections are a fabulous way to ensure a timeless sparkle for every bride-to-be. In addition to these two trending collections, we are also proud to present wedding rings from the ArtCarved Contemporary collection, which are specially crafted to highlight beautiful princess, round, cushion, emerald, and pear shaped center diamonds. Family owned and operated since 1967, BARONS Jewelers remains committed to bringing our customers exceptional service and selection. As one of the Bay Area's most dependable full-service jewelry retailers, we proudly carry an extensive collection of engagement rings, wedding bands, fine jewelry, and watches in our Dublin, California showroom. 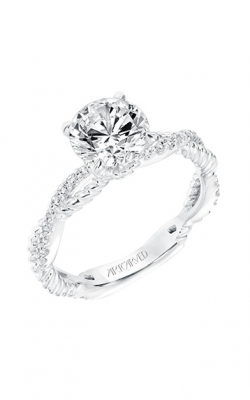 In addition to the stunning engagement rings from ArtCarved, we are also an authorized retailer for A. Jaffe, Michael M. , and Triton. 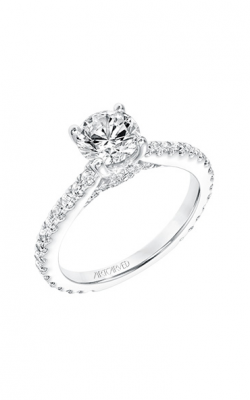 We also have the distinction of being the West Coast's only Tacori Diamond Partner. Visit BARONS Jewelers today and experience our "Legacy of Elegance" for yourself!